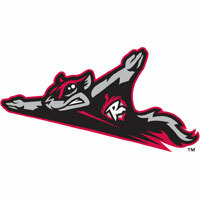 The Flying Squirrels (41-38) scored the winning run in the top of the ninth inning on a two out single from Ali Castillo scoring Matt Lipka from second base to secure a 4-3 win over the Harrisburg Senators (41-40) on Saturday night at FNB Field. Squirrels starter Shaun Anderson tossed season-high seven innings allowing three runs on six hits. Richmond takes the first two games of a five game series in Harrisburg and will continue their nine-game road trip against the Senators on Sunday night. The Flying Squirrels will return to The Diamond on Wednesday, July 4 for an Independence Day weekend celebration. A back and forth game made way for the Squirrels in the top of the ninth inning. With two outs in the top of the ninth and Matt Lipka on second, Ali Castillo drove a ball back up the middle off of Roman Mendez (4-3) to bring in the winning run. Patrick Rutolo came on to complete his third save in as many opportunities securing two strikeouts and a groundout. The Senators got on the board first in the bottom of the first inning on a solo home run off the bat of Richmond native Alec Keller. Keller smacked his first home run of the season and just the seventh home run against Anderson all season. The Senators scored all three of their runs on solo home runs. The three home runs ties a single-game high allowed by the Squirrels in 2018. After keeping the Squirrels hitless through 3.2 innings, Richmond finally got to Logan Darnell in the fourth inning. With two outs in the inning, Aramis Garica cracked a solo home run over the left field wall to tie the game at 1-1. The home run was Garcia’s seventh of the year and fifth dinger in the last five games. Richmond tacked on another run in the fourth inning on a two out RBI double from Jonah Arenado plating Jerry Sands to put the Squirrels on top 2-1. Anderson ran into more trouble in the bottom of the fourth allowing two solo home runs to Carter Keiboom and Taylor Gushue. The Senators re-took the lead 3-2 on the two home runs. The three home runs allowed by Anderson were a single-game career-high. Senator’s starter Logan Darnell also worked a season-high six innings in his outing. Darnell three earned runs on five hits with two strikeouts. Richmond tied it back up in the top of the fifth inning on an RBI double for C.J. Hinojosa scoring Jerry Sands from second base. With the double in tonight’s game, Hinojosa has been on base in 14 of his 15 games played with Richmond. Senators reliever Dakota Baccus sat the Squirrels down 1-2-3 in the seventh inning and Richmond’s reliever Dillon McNamara (3-2) followed suit in the eighth inning. The Flying Squirrels continue their nine-game road trip – the longest off the year- with game three of five in Harrisburg on Sunday at 6 p.m. RHP Taylor Hill (0-1, 5.79) makes the start for Richmond against Senators RHP Jaron Long (1-6, 3.77). The Flying Squirrels will return to The Diamond on Wednesday, July 4 for an Independence Day celebration. Tickets can be purchased online over the phone by calling 804-359-3866 (FUNN).